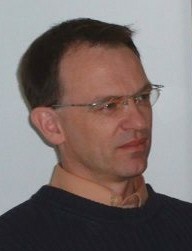 Max Mühlhäuser is a Full Professor of Computer Science at Technische Universität Darmstadt, Germany. He received his Doctorate from the University of Karlsruhe and founded a research center for Digital Equipment (DEC). Since 1989, he worked as either professor or visiting professor at universities in Germany, Austria, France, Canada, and the US. Max published around 200 articles, co-authored and edited books about computer aided authoring/learning and distributed/multimedia software engineering. He heads the Telecooperation Division and the Departmental Computing Center within the Informatics Dept., the campus wide centre of research excellence in eLearning, and further initiatives in Darmstadt – more than 35 staff altogether. His core research interest is development support for next generation Internet applications, mainly in the following areas: ubiquitous, ambient, and mobile computing and commerce; eLearning; multimodal interaction, distributed multimedia and continuous media, hypermedia and SemanticWeb, cooperation, and pervasive security. The enabling technologies applied comprise distributed object-oriented programming, event-based and peer2peer infrastructures, hypertext, and audio/video processing.